The martial arts program has increased support and smaller class sizes for kids ages 6-12 who have sensory processing or other challenges. Parents fill out an intake form so that we get more information about the child in order to place him or her in the class that best suits the child’s needs. Private lessons are very limited and are available at an increased rate. 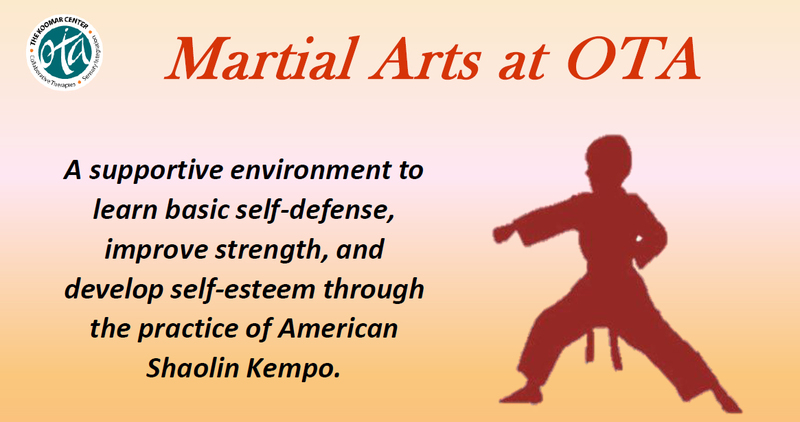 A supportive environment to learn basic self-defense, improve strength, and develop self-esteem through the practice of American Shaolin Kempo.